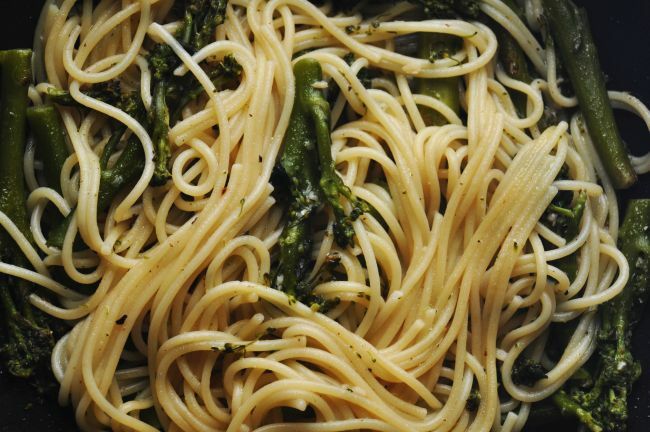 Pasta con broccoletti is one of my favourite pastas to have during the winter. It’s wholesome, very easy to make, and naturally vegan. My Nonna taught me how to make this dish a few years ago, and ever since then I’ve made it frequently on my own. However, nothing can compare to your own Nonna’s cooking. Unfortunately, I tend to only come back to Sicily during the summer, when broccoletti aren’t in season. This past winter my grandmother very thoughtfully froze some of the fresh crop for me to enjoy this summer. We made it today for lunch and it was so delicious I had to share the recipe! Either steam or boil the broccoletti until very tender. 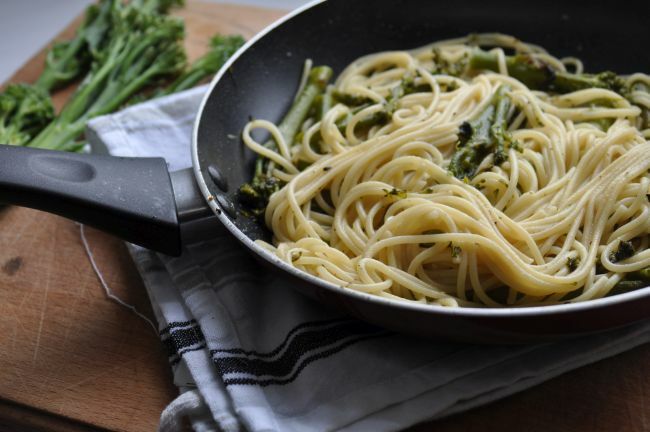 In a medium-sized pot, bring water to a boil, add salt, and cook pasta according to the instructions (if you boiled the broccoletti, use the same pot and water). 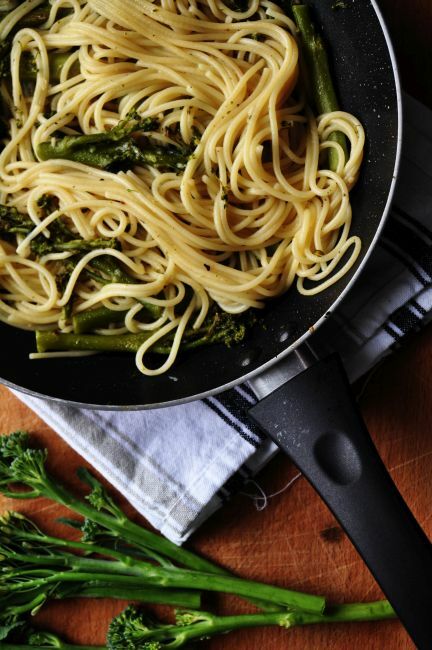 Once you’ve started boiling the pasta, in a medium-sized saucepan, heat olive oil on low-medium heat. Add the minced/finely-chopped cloves of garlic to the pan and stir, being careful not to let it burn, before adding the steamed broccoletti (whole or chopped). Mix well. Once the pasta is cooked, add it to the saucepan and stir well. Season it to taste. If it seems a bit dry, you can add more olive oil or some of the water in which the pasta was boiled. What a deliciously simple recipe! This type of pasta is my favourite and I think that Nutritional Yeast makes everything sooooo delish! Thank you, Allison! This is my favourite type of pasta too, and I definitely agree nutritional yeast makes everything delicious. I can’t believe I only discovered it a few months ago! We have had no pasta for about 2 weeks and I can’t wait to try this! I admire your discipline! I have been trying to eat pasta only every other day but it’s hard for a Sicilian, especially while I’m in Sicily! There will be plenty of pasta for you when you guys arrive on Thursday! Te quiero mucho!